Anthony Stephen 'Tony' Burke (born 4 November 1969) is an Australian politician representing the Labor Party, and was the Minister for Immigration, Multicultural Affairs and Citizenship, the Minister for the Arts, and the Vice-President of the Executive Council in the Second Rudd Ministry. Burke first entered public office in 2003 as a member of the New South Wales Legislative Council. In October 2004 Burke moved from state to federal parliament on being elected to the federal seat of Watson, New South Wales. 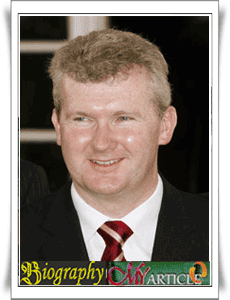 Tony Burke was educated at Regina Coeli, then at St Patrick's College, Strathfield, where he was Vice-Captain, and the University of Sydney, where he graduated with a Bachelor of Arts and Bachelor of Laws. From 1997 until 2003, Burke worked as an organiser for the Shop, Distributive and Allied Employees' Association. On 22 March 2003, he was elected to the New South Wales Legislative Council. He chaired the NSW State Development Committee, conducting inquiries into ports infrastructure, and science and its commercialisation. There had been a view that Burke's talents were wasted in the NSW Legislative Council and he resigned from the NSW state parliament on 24 June 2004 to campaign for the federal parliament division of Watson. He successfully gained the seat at the 2004 federal election. Burke was appointed as Shadow Minister for Small Business immediately after his election, and in June 2005 was promoted to Shadow Minister for Immigration. In December 2006 Kevin Rudd was elected leader and conducted a further reshuffle, expanding the portfolio to Immigration, Integration and Citizenship. Whilst in opposition, Burke led an unsuccessful bipartisan appeal for clemency to the Singapore High Commissioner to stop the execution of convicted Australian drug smuggler, Van Tuong Nguyen. On 29 November 2007, Burke was selected by the Prime Minister Rudd as the next Minister for Agriculture, Fisheries and Forestry, and was sworn in on 3 December 2007. Tony Burke in a protest campaign called Walk For Respect against the amendment of section 18C Racial Discrimination Act in association with NINFA (Nepalese Indigenous Nationalities Forum Australia) at Lakemba, Sydney, Australia. On 2 April 2010, Kevin Rudd announced that Burke was the inaugural federal Minister for Population. The responsibilities of the office were to include planning the growth of the Australian population and coordinating provision of services to the increasing numbers of people living in Australia. Following the 2010 Australian election, he was appointed Minister for Sustainability, Environment, Water, Population and Communities. When Julia Gillard reshuffled her Cabinet in March 2012, following an ALP leadership spill, Burke was given the additional portfolio of Vice-President of the Executive Council. When Julia Gillard reshuffled her cabinet on 25 March 2013, Burke was appointed as Minister for the Arts, in addition to his existing responsibilities. In early 2011, after delaying an earlier decision due to Gunns Limited asking for tougher environment standards to be imposed on their proposed pulp mill development, Burke gave final approval for the proposed pulp mill in the Tamar Valley to go ahead, subject to tougher environmental conditions requested by the company itself. Burke said that many of the demands made by environmental groups opposed to the development had been addressed. Following the June 2013 Labor leadership spill, Burke, a supporter of Gillard, offered to hand in his commission as minister as he previously been critical of Rudd's performance in his previous tenure as Prime Minister. However, Rudd refused and appointed Burke as Minister for Immigration, Multicultural Affairs and Citizenship in the Second Rudd Ministry; he also retained the portfolio of Minister for the Arts and the appointment as Vice-President of the Executive Council.